As an Animal Master Instructor and former pro-athlete, Sascha is able to engineer tremendous results for his clients. 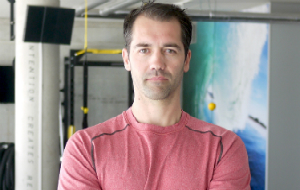 In January 2013 Sascha founded the Amsterdam based company Transatlantic Fitness vof as a functional products and education company for the BeNeLux market. After 2.5 years of successfully growing Transatlantic Fitness vof, Sascha and his wife opened up their own Personal Training and Group Fitness Club in Amsterdam – “MT Fitness”. In his twenties, Sascha travelled the world as a professional skateboarder. By 2006 Sascha had achieved a global ranking of 12th in the sport of skateboarding. After an active career in the action sports world Sascha became a team manager for his long time sponsor, “Quiksilver” in Germany and Austria. While working with Quicksilver, Sascha’s passion for sports, movement and fitness grew which motivated him to pursue a career in the fitness industry. Sascha went on to work with Technogym, Powerplate, and Transatlantic Fitness. From 2009 until early 2012 Sascha taught TRX Suspension Training Courses with Transatlantic Fitness all over Germany. After a short period as a supervisor in the Doha (Qatar) Sheraton Hotel, Sascha moved back to Europe in order to follow his passion, personal training and take on new business opportunities.